The cutting and carving of groundwork and even of whole rooms into the rock of the hills, west of the Acropolis (the Areos Pagus, the Hill of the Nymphs and the one of the Muses, and the Pnyx) on the way up to the Monument of Philopappos, is typical of the area, and demonstrates the town planning and architecture of ancient Athens. 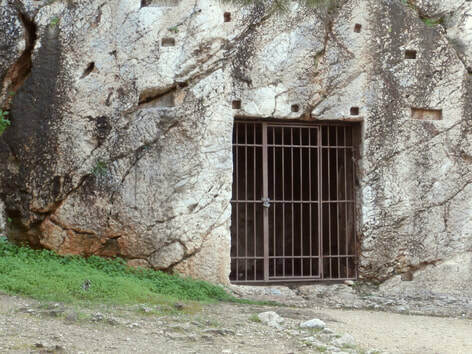 We now know that this structure, the so-called Socrates Prison, is not where the great philosopher was imprisoned and finaly executed. An architectural plan of the so-called Socrates' Prison. ​The use of the rooms is yet unknown. 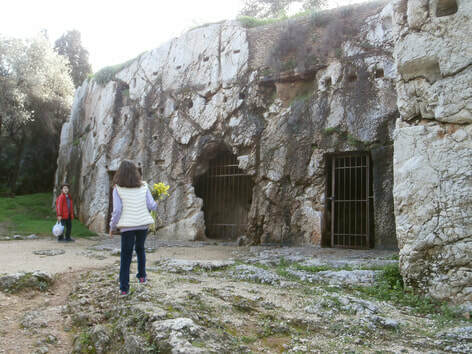 Its cave-like structure and its proximity to the Athenian Agora must have led to the legend that the building is non other than the Prison of Socrates, or an ancient bath, as guidebooks and history books inform us. During the WWII, the structure was used to hide antiquities of the Acropolis and the National Archaeological Museum sealed up behind a thick concrete wall, in order to protect them from the systematic theft by the German looters. Socrates, as portrayed in a work of sculpture by the entrance of the building of the Athens Academy. ​Socrates was born c. 470 BC, in Athens. We know of his life through the writings of his students, including Plato and Xenophon and the plays of Aristophanes. 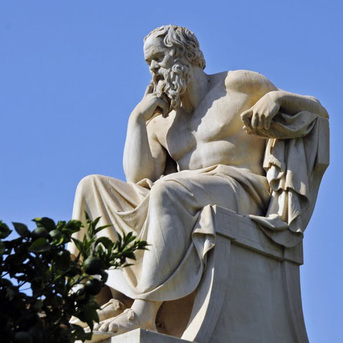 His "Socratic method," laid the groundwork for Western systems of logic and philosophy. The son of Sophroniscus, a stone mason and sculptor, and Phaenarete, a midwife, Socrates married Xanthippe, a younger woman, who bore him three sons, yet she was not happy with Socrates's second profession and complained that he was not supporting their family as a philosopher. By his own words, Socrates had little to do with his sons' upbringing and expressed far more interest in the intellectual development of Athens' young boys. Athenian law required all able bodied males serve as citizen soldiers, on call for duty from ages 18 until 60. According to Plato, Socrates served in the armored infantry with shield, long spear and face mask. He took part in three military campaigns during the Peloponnesian War, at Delium, Amphipolis, and Potidaea, where he saved the life of Alcibiades. Socrates was known for his courage in battle and fearlessness, a trait that stayed with him throughout his life. Plato's Symposium provides the best details of Socrates's physical appearance. He was short and stocky, with a snub nose and bulging eyes, and always seemed to appear to be staring. However, Plato pointed out that in the eyes of his students, Socrates possessed a different kind of attractiveness, not based on a physical ideal but on his brilliant debates and penetrating thought. This credo inspired Plato’s philosophy of dividing reality into two separate realms, the world of the senses and the world of ideas, declaring that the latter was the only important one. ​​Socrates believed that philosophy should achieve practical results for the greater well-being of society. He attempted to establish an ethical system based on human reason rather than theological doctrine. He pointed out that human choice was motivated by the desire for happiness. Ultimate wisdom comes from knowing oneself. The more a person knows, the greater his ability to reason and make choices that will bring true happiness. He believed that this translated into politics with the best form of government being neither a tyranny nor a democracy. Instead, government worked best when ruled by individuals who had the greatest ability, knowledge, and virtue and possessed a complete understanding of themselves. Socrates went about asking questions of the elite and common man alike, seeking to arrive at political and ethical truths. Socrates didn’t lecture about what he knew. In fact, he claimed to be ignorant, but wise because he recognized his own ignorance. He asked questions of his fellow Athenians in a dialectic method (now known as the Socratic Method) which compelled the audience to think through a problem to a logical conclusion. Sometimes the answer seemed so obvious, it made Socrates's opponents look foolish. During Socrates's life, Athens was going through a dramatic transition from hegemony in the classical world to its decline after a humiliating defeat by Sparta in the Peloponnesian War. Athenians entered a period of instability and doubt about their identity and place in the world. As a result, they clung to past glories, notions of wealth, and a fixation with physical beauty. Socrates attacked these values with his insistent emphasis on the greater importance of the mind. While many Athenians admired Socrates' challenges to Greek conventional wisdom and the humorous way he went about it, an equal number grew angry and felt he threatened their way of life and uncertain future. The jury was not swayed by Socrates's defense and convicted him by a vote of 280 to 221. Possibly the defiant tone of his defense contributed to the verdict and he made things worse during the deliberation over his punishment. Athenian law allowed a convicted citizen to propose an alternative punishment to the one called for by the prosecution and the jury would decide. Instead of proposing he be exiled, Socrates suggested he be honored by the city for his contribution to their enlightenment and be paid for his services. The jury was not amused and sentenced him to death by drinking a mixture of the poison hemlock. 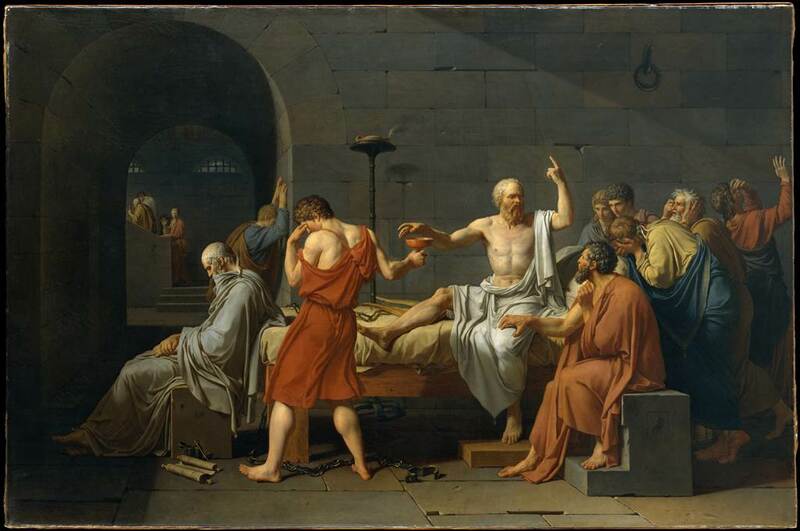 ​Before Socrates's execution, friends offered to bribe the guards and rescue him so he could flee into exile. He declined, stating he wasn't afraid of death, felt he would be no better off if in exile and said he was still a loyal citizen of Athens, willing to abide by its laws, even the ones that condemned him to death. 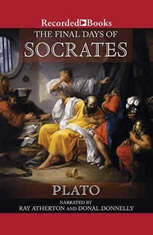 ​Plato described Socrates's execution in his Phaedon dialogue: Socrates drank the hemlock mixture without hesitation. Numbness slowly crept into his body until it reached his heart. Shortly before his final breath, Socrates described his death as a release of the soul from the body. ​Socrates. (2015). The Biography.com website. Retrieved and Edited, Apr 16, 2015, from http://www.biography.com/people/socrates-9488126. Interior, with a view of the Acropolis, Divani Palace Acropolis hotel. The fenced gate to the rooms that presumably served as Socrates' Prison.